The legendary musician Prince passed away at 57 last month. I was shocked to know the news. He was a great musician and could be producing more wonderful songs if he was still alive. I still remember the time when I went to watch the movie “Purple Rain”, in which Prince was the lead actor. Although I have watched many movies, I usually don’t remember which movie I watched alone or with others. But “Purple Rain” was special. I remember I was still a teenager living in Chiba. I was supposed to watch the movie with my friend in Tokyo. But she didn’t show up on the train where we were supposed to meet. Since we didn’t have cellphone that time, I went to Tokyo to watch the movie alone. To go to Tokyo and watch a movie alone was sort of a small adventure for a teenager like I was. 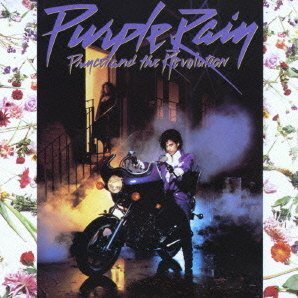 So the song “Purple Rain” reminds me of my younger days and the experience of watching a movie alone in Tokyo. Prince was a legendary pop icon, a great rock star and was very charismatic. Furthermore, he looked like a very sensitive and kind person. He was privately sending money to support Afghan orphans. This was revealed after he passed away, because he didn’t want people to know about his philanthropy work. What a beautiful song title! Don’t you think? I was lucky to meet him when I was a teenager. 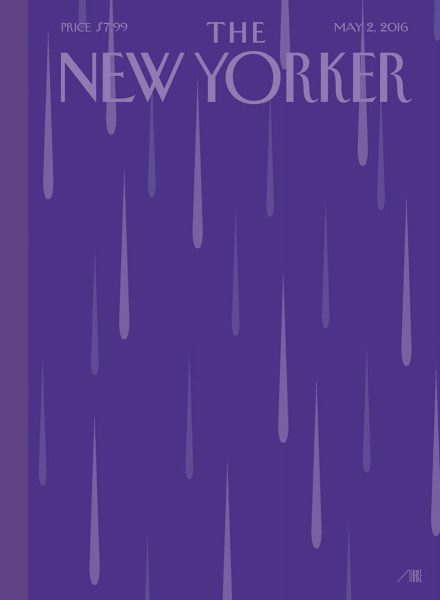 ↑”THE NEW YORKER”(May 2nd,2016) is crying, too?